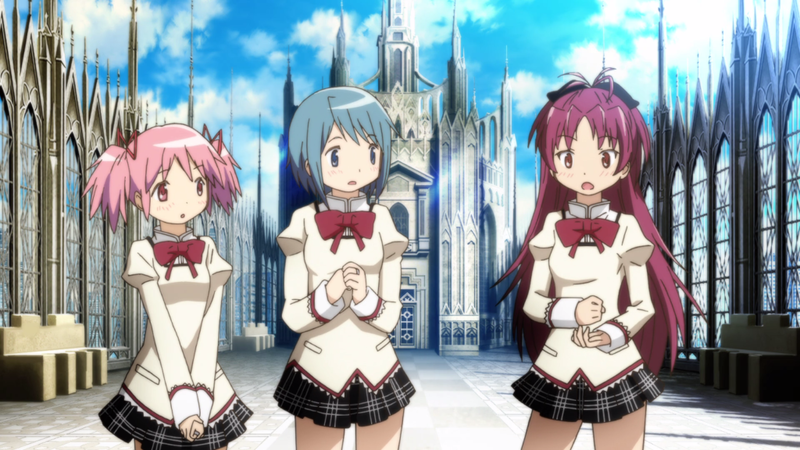 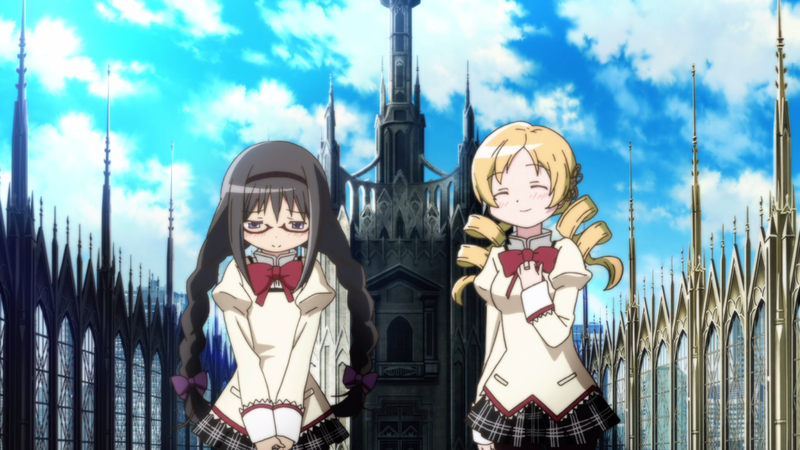 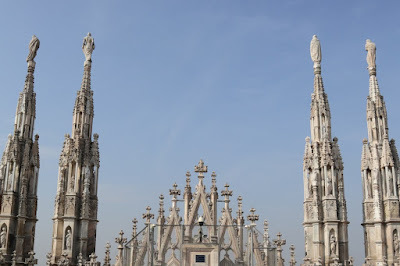 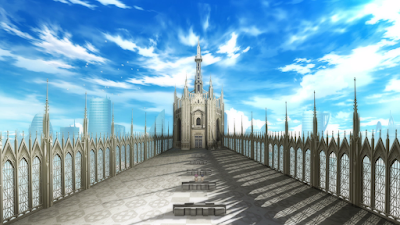 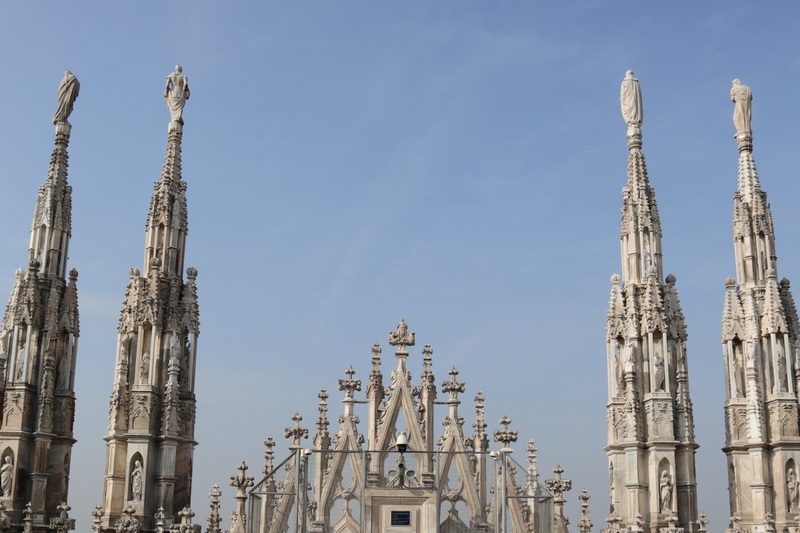 In the Puella Magi Madoka Magica movies the roof of the Mitakihara Middle School is based on the Milan Cathedral roof. The roof of the cathedral. 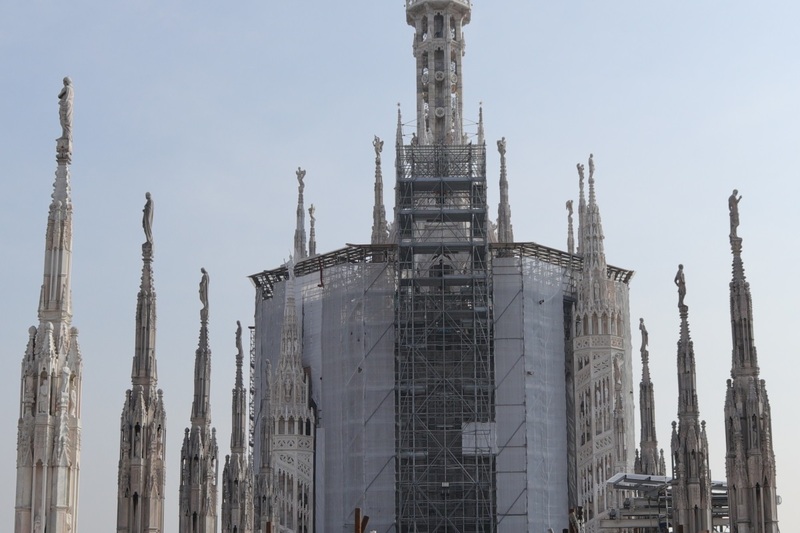 Unfortunately there were renovations going on when I visited, but you can see the spires and the structure in the middle of the shot that matches. Closer look from the third movie. In the movies they have the structure in the middle on both ends on the roof, but there's just one in real life. 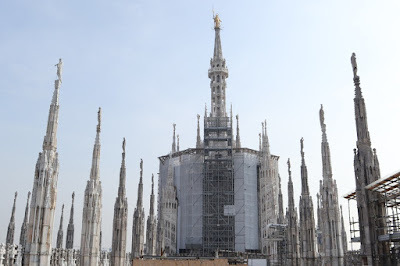 This is the actual view in the opposite direction. It wasn't shown in the movies, but here's a look at the front of the cathedral as well. 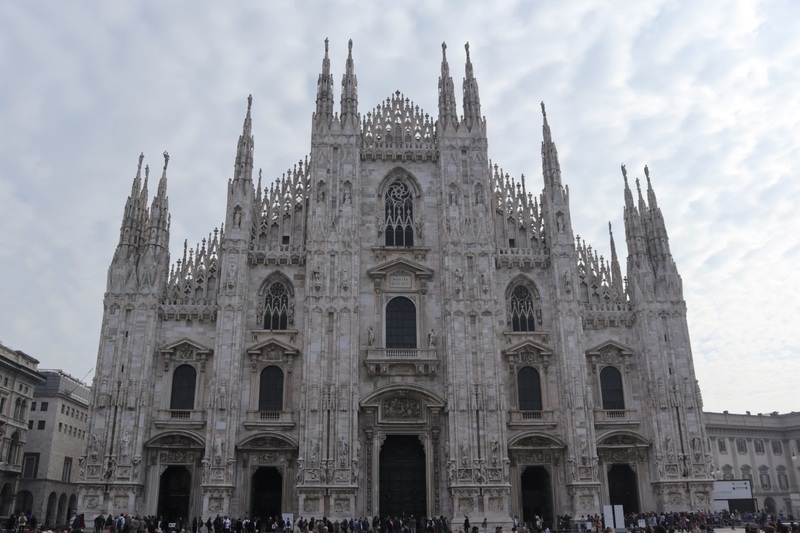 This location was visited on 2018/10/18.